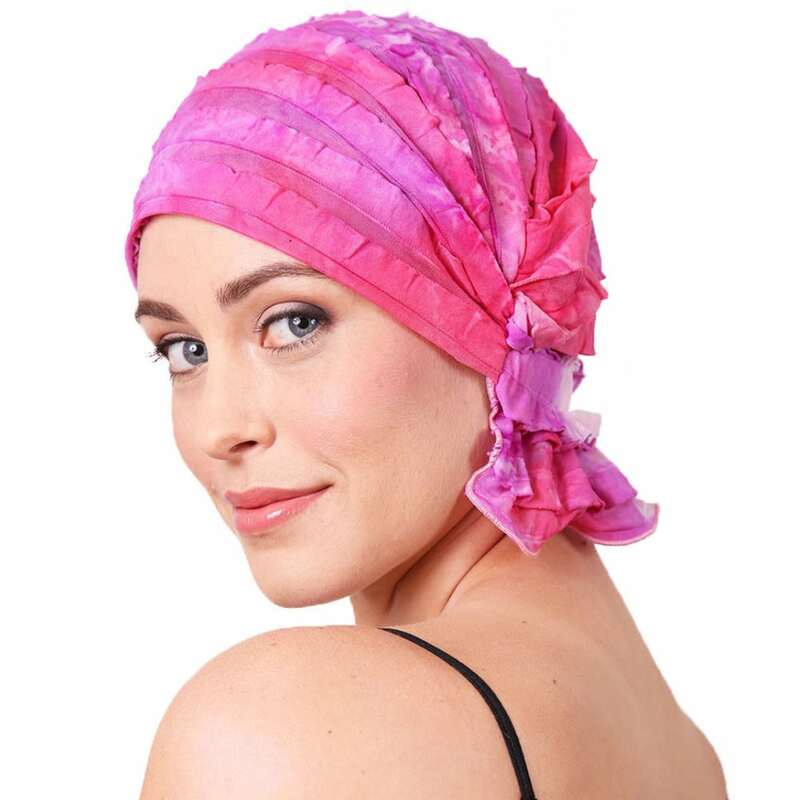 The cancer headwear that changed the way women cope with hair loss from chemotherapy. With over 20 designs and styles to choose from, courage is always in fashion! Comfortable, functional and fashionable head covers. Secure fit with ruffle over nape of the neck, no tying necessary. Slips on and off easily with unique stretch-to-fit design. Boost your self-esteem during chemo treatment. Ideal alternative to hats, turbans, headbands and wigs. Made in the USA. Designed by women for women. Hair loss from chemotherapy treatment (or other reasons) can be a demoralizing experience and lower a woman’s self esteem. Whether it is breast cancer or another disease, it is important to focus on getting better and staying positive. 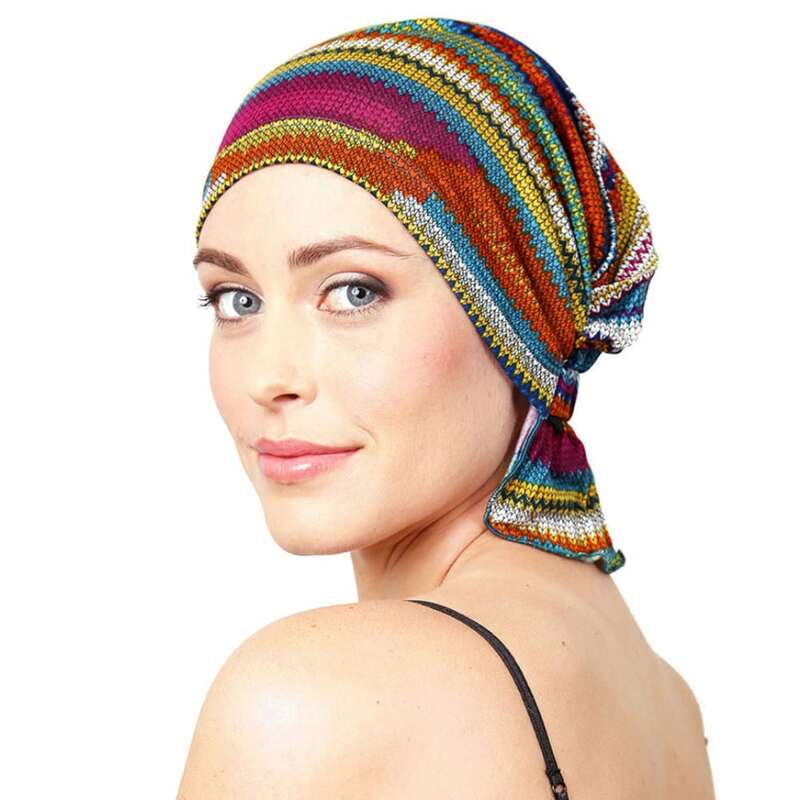 Chemo Beanies were designed as a beautiful alternative to turbans, headbands and hats so that you do not have to worry about your outward appearance during a time when you are simply trying to focus on your health and wellbeing. 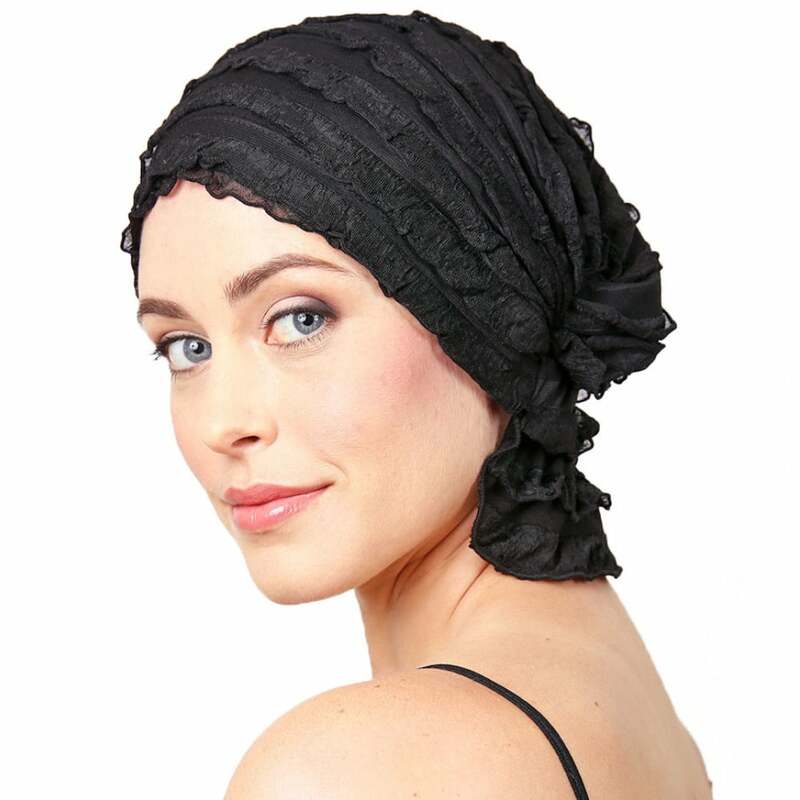 Chemo Beanies headwear covers are comfortable and fit seamlessly – no tying necessary. Only the softest materials were chosen to accomplish the ideal amount of stretch to naturally adjust for a secure fit on any size head. With a great touch of feminine flare, the unique bunching and neck ruffle in the back provide volume and full coverage to the bare neck while remaining highly fashionable. Chemo Beanies were designed to make life a little easier during a time where every little bit counts. I gave it as a gift to a breast cancer patient. She loves it and it looks awesome on he. Taking good care of your Chemo Beanie will prolong its appearance and lifespan.